Flitwick-based coach company Grant Palmer Limited and Center Parcs have teamed up to improve the public transport connection to Center Parcs’ new Village, Woburn Forest, which is set to open in the spring. Center Parcs first contacted Grant Palmer six months ago when recruitment for the new team was well underway, to work with the existing bus service, the number 42, which currently serves Bedford, Elstow, Ampthill, Flitwick, Houghton Regis and Dunstable. The project also involved planning for a new chartered service for Center Parcs Housekeepers to get to work on Mondays and Fridays, the holiday Village’s changeover days. The Center Parcs HR and Purchasing teams have been working with Grant Palmer with route planning for both services for many months and have agreed a contract which is expected to provide an economic boost to the local transport service. As well as financial benefits, the services will reduce the number of vehicles to Woburn Forest, will be more sustainable, reduce the number of cars on the local roads, provide flexible travel for the Housekeeping team and will also better utilise the existing services provided by the bus company to the local area. The new journey for bus 42 and the Center Parcs chartered service for Housekeepers has already begun and is expected to take hundreds of staff to work at the new Center Parcs Village for the foreseeable future. The bus service also works in tandem with a new cycle route which was created when Center Parcs started building Woburn Forest in 2012. This will provide staff living locally with the option to either use public transport or cycle to work. 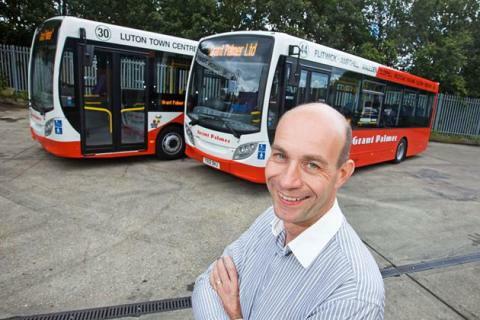 Grant Palmer Limited was established in 1999 and provides a number of bus services throughout Hertfordshire, Bedfordshire and Buckinghamshire. 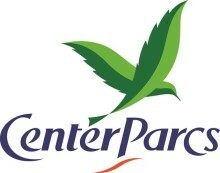 Center Parcs has four Villages in the UK, with the fifth Village, Woburn Forest, due to open in spring 2014. 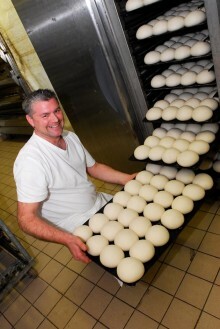 The main recruitment campaign for the new Village began in summer 2013 and is now almost complete with more than 90% of the team for Woburn Forest coming from within 15 miles of the site. Center Parcs is delighted to announce that it has signed an agreement with Central Bedfordshire Council to commence the construction of a roundabout near the site of its proposed holiday village at Millbrook in Bedfordshire. The contract has been awarded to locally based Civil Engineering Company Miletree Construction from Milton Keynes.